An organ made from PVC pipes and 2m weather balloons. Each element is suspended from above and makes sound for up to 90 minutes as the air empties from the balloons to drive the organ pipes. 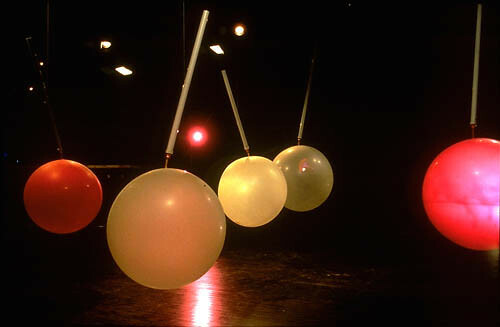 The effect is a combined spatial and harmonic collapse as pipes play different harmonics as air pressure decreases and the balloon deflates.